University of Texas Rio Grande Valley (UTRGV) and Lancaster Bible College in Pennsylvania are two institutions that are driving student and institutional success even as higher education faces continuing headwinds in the form of shrinking student populations, increased competition, and budgetary constraints. To gain insight into their strategies for student success, Campus Management spoke with Dr. Magdalena Hinojosa, Vice President, Strategic Enrollment Management, The University of Texas Rio Grande Valley (UTRGV), and Joshua Beers, Senior Vice President, Student Experience, Lancaster Bible College (LBC). 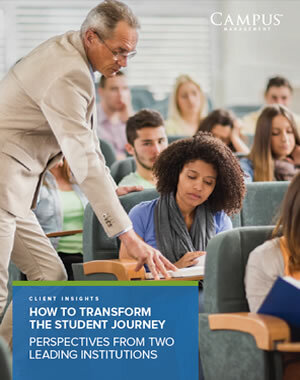 Now explore their strategies for recruiting mission-fit students and driving successful outcomes in this insightful guide.